About You : With a professional DJ career spanning twenty years in multi-genre clubs and events, David Ferrini had residencies from the UK and Europe to Australia. 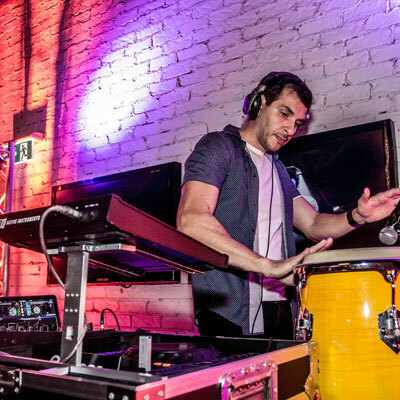 David can conform to any genre of music required and prides himself on putting the venue first, also adding other elements into his sets including vinyl decks, live percussion and electronic drums and samplers. Past experience includes performances worldwide as well as radio shows and appearances on Australian and international airspace. With a professional DJ career spanning twenty years in multi-genre clubs and events, David Ferrini had residencies from the UK and Europe to Australia.